The beach resort of Le Lavandou is on the coast of the Var department, on the Cote d'Azur and just a few kilometres east of the village of Bormes-les-Mimosas. 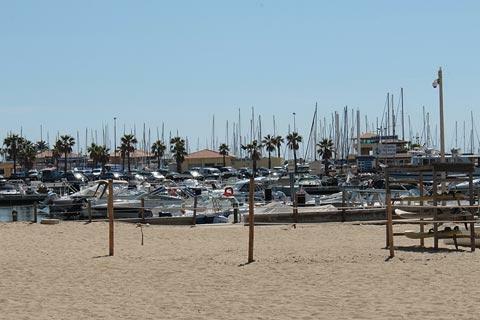 Although it is not the most visited resort on the riviera, Le Lavandou is a pleasant destination with a nice harbour and a beach and the surrounding coast is also scenic to explore: it is primarily a destination for those who want to explore the beaches in and near the town. 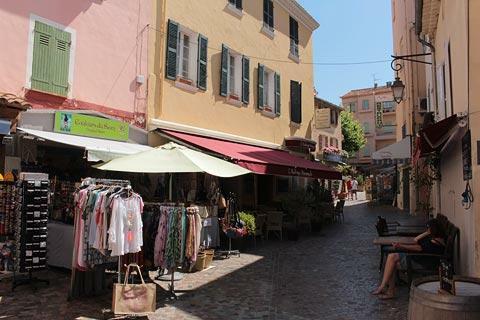 In the centre of Le Lavandou, the beach is backed by a mix of 1980s style apartments and more traditional buildings. The tourist office occupies one of the most interesting buildings, a stone building with various 'mock-medieval' features. This building is known as 'the Chateau' and was built in the Italian style in the 19th century. 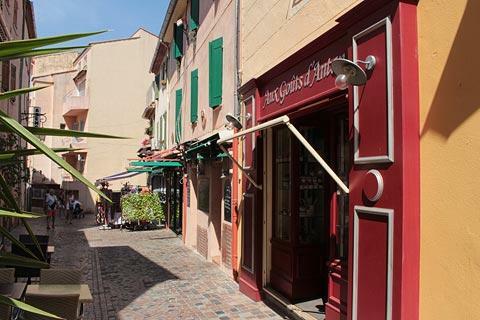 Behind the tourist office you can enter Le Lavandou old town, with three principal streets parallel to each other, and is pedestrianised. Although the old town is quite small it is interesting to explore. 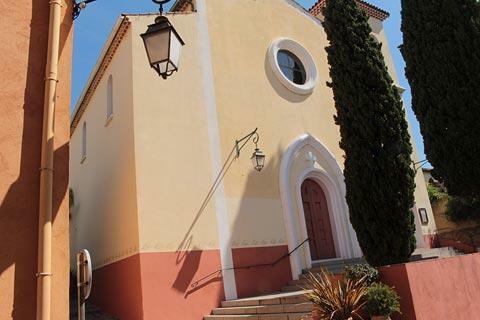 There are no particular historic monuments although the small church of Saint-Louis, built in the 19th century is a charming church painted in natural colours. 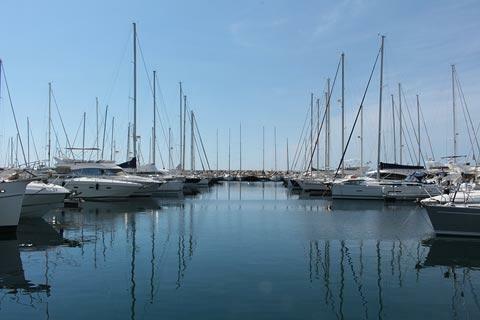 To the east of the beach, the port in Le Lavandou is quite extensive and contains a mixture of small pleasure boats and traditional fishing boats. 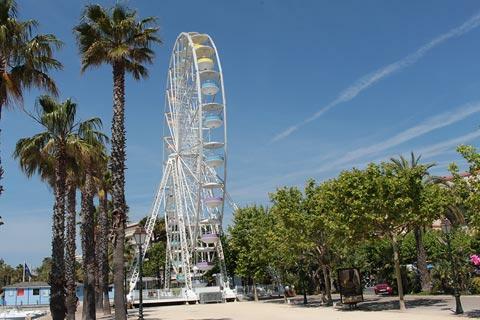 You will find numerous restaurants and cafes both along the seafront and in the old town. 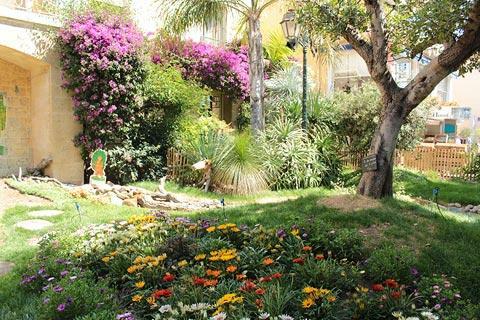 You will also see various small gardens that bring colour and interest to the town centre. As well as the beach in the town centre there is a whole series of beaches along the coast to the east of Le Lavandou: Saint-Clair, La Fossette, Aiguebelle, Cavalière, Cap Nègre, Pramousquier...each has its own characteristics and part of the pleasure of a visit here is the chance to discover a new beach every day! 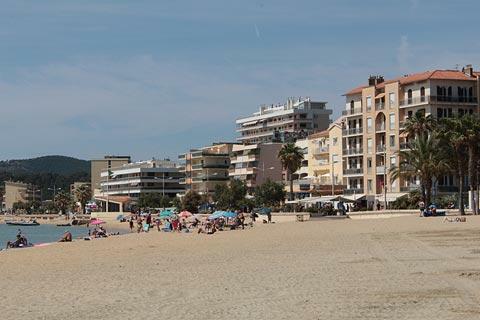 There is a cycle path from the centre of Le Lavandou that passes all of these beaches. There are several more quiet beaches near Le Lavandou including a sandy beach at Faviere, the beaches at Bregancon, Cabasson and Vignasse on the west coast of Cap Bénat and the beaches of l'Estagnol and Pellegrin further to the west. You will also find more smaller beaches hidden away between the rocky coves and inlets to the south of Cap Bénat. Note: the Fort de Bregancon, the summer residence for French presidents, is on a small peninsula at Cabasson. 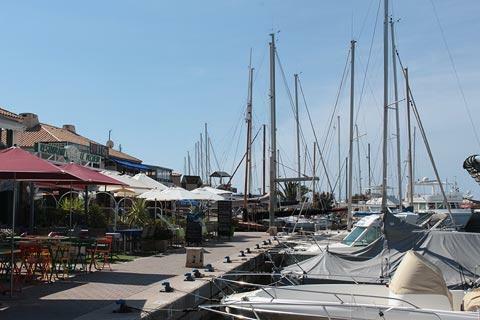 As well as the beaches along the coast around Le Lavandou you will certainly want to travel a few kilometres west to visit Bormes-les-Mimosas. 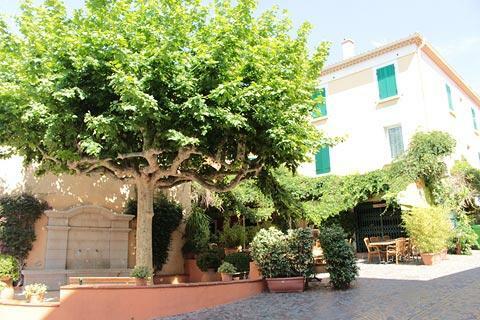 The historic centre of the village is on the hill above the main town and is a charming place, overflowing with plants and flowers. 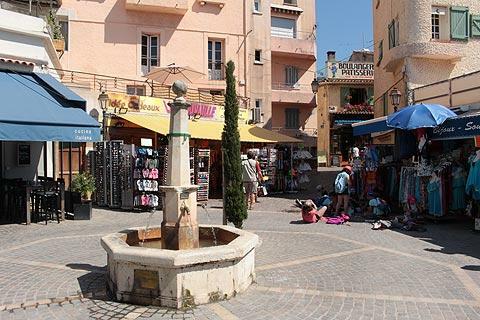 Further to the west you can explore the extensive historic centre of Hyères, one of our favourite towns on the southern coast of Provence, as well as visit the Presqu'ile de Giens and the very beautiful Îles d'Hyères.